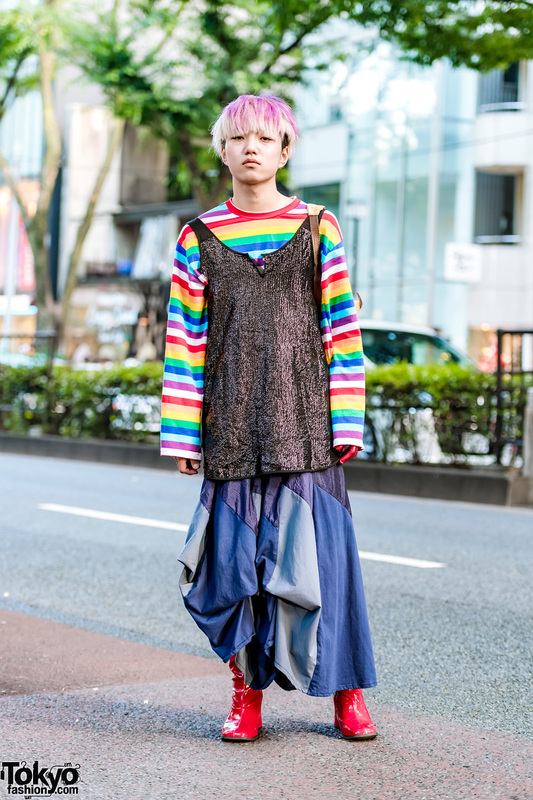 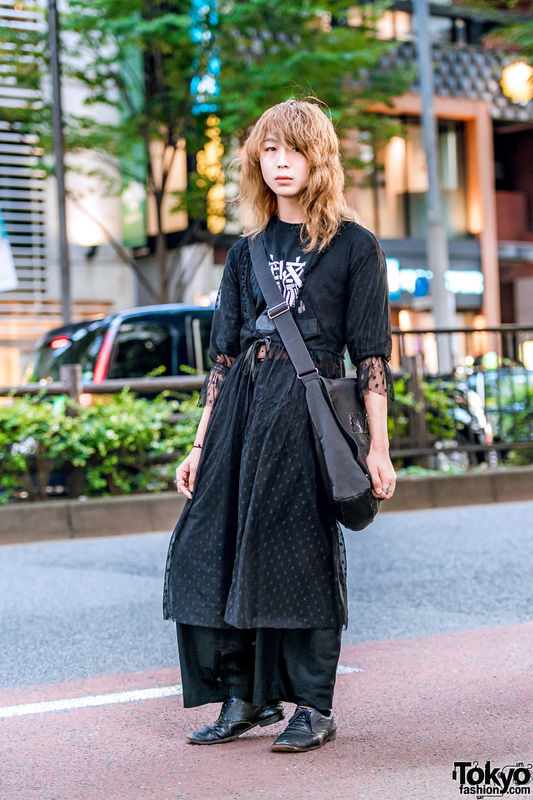 Harajuku fashion college student sporting an all black Kansai Yamamoto minimalist outfit while out and about. 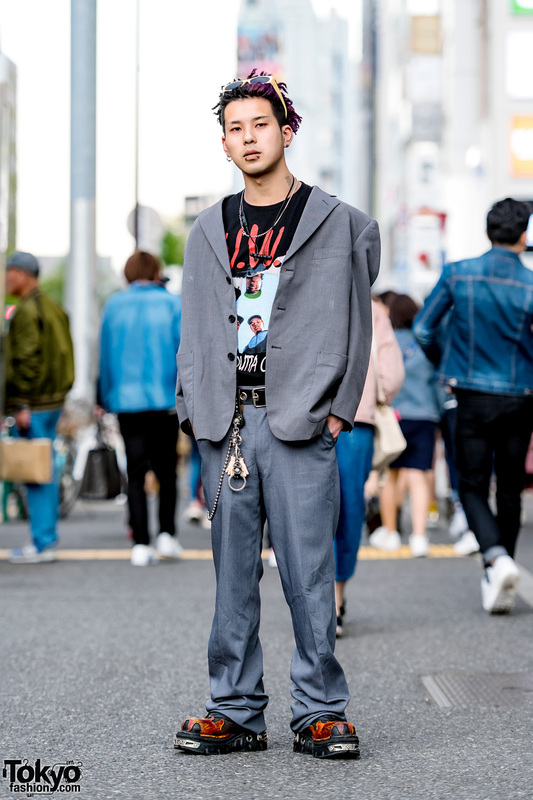 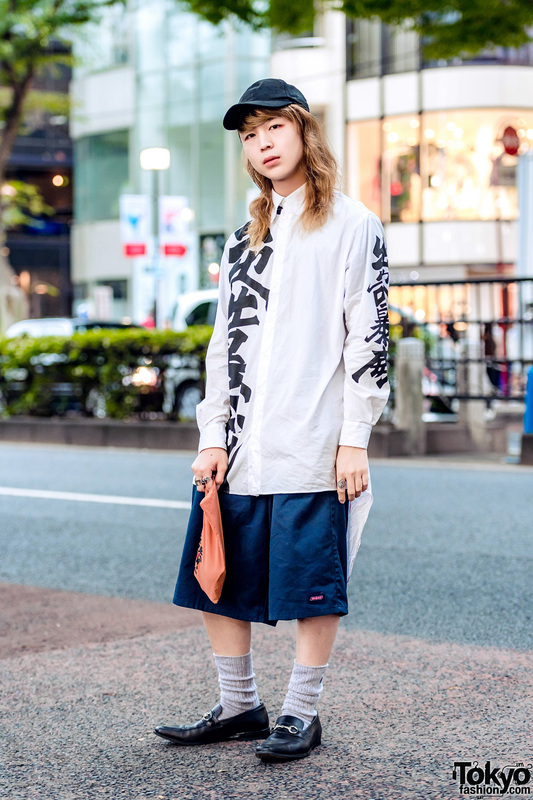 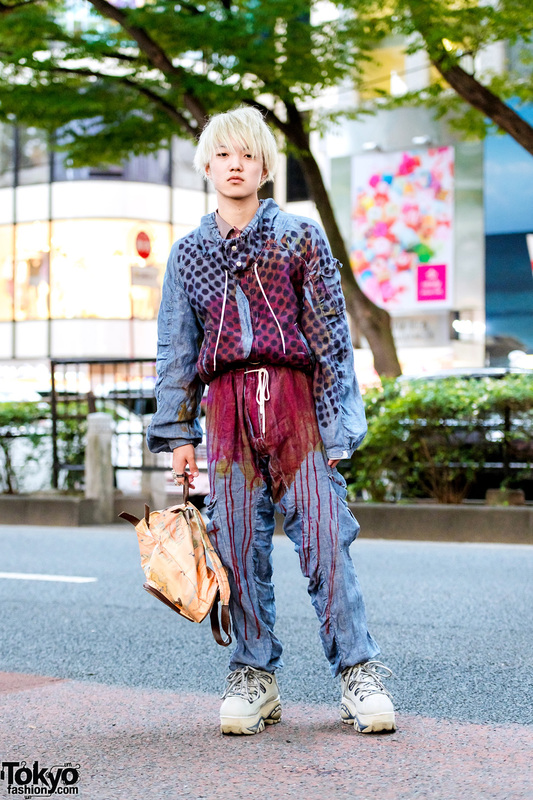 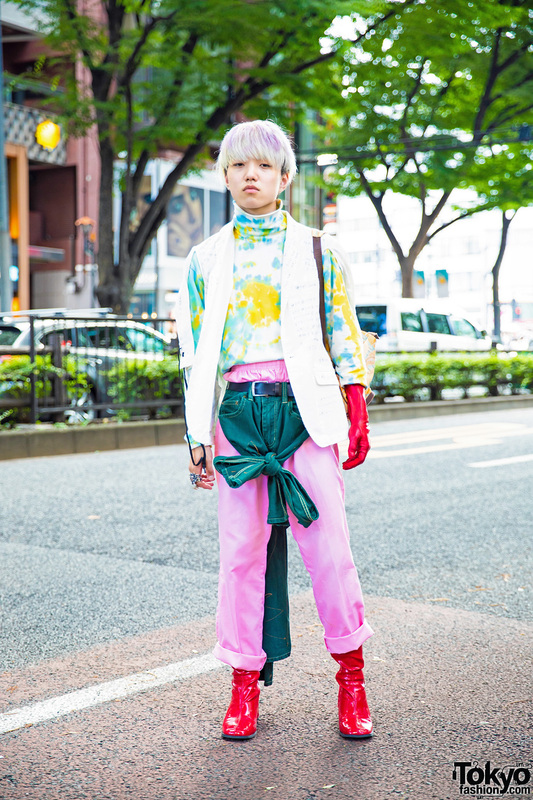 Harajuku guy in a red-and-black street casual look while out and about on the street one evening. 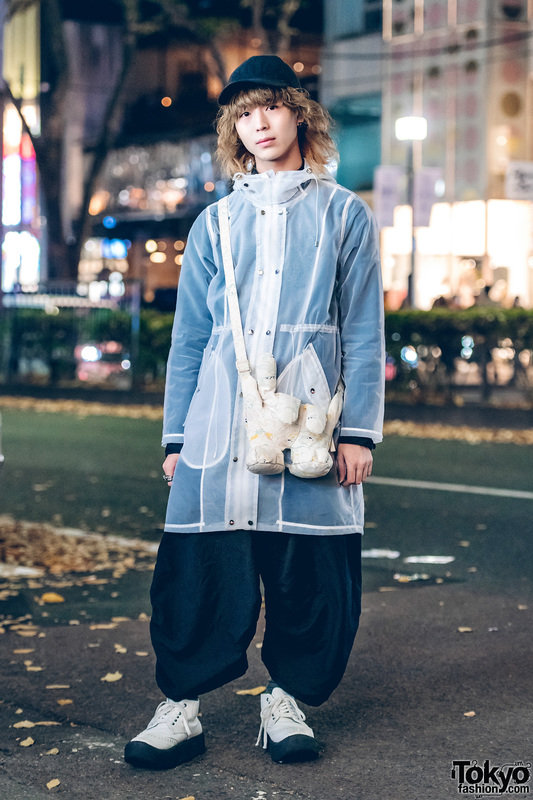 Harajuku fashion college student in monochrome street dressing while out on the street one evening.